Two-Part Tag w/ carbon. 6-1/4" X 3-1/8" (Size #8). Pre-numbered. 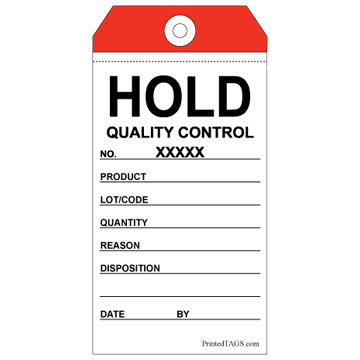 Our most popular Two-Part Quality Control Hold Tag is pre-numbered on both parts for easy use. Tag size: (#8) -- 6 1/4" x 3 1/8"